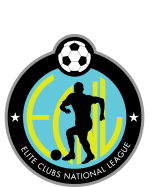 The Boys Elite Clubs National League (Boys ECNL) was founded to improve the daily environment for boy’s youth soccer players through a collaborative club-based development program featuring competition, player identification, and coaching and club development platforms. The Boys ECNL will include both regular season conference games and cross-conference events, and qualifying teams from the Boys ECNL will advance to the post-season Elite National Premier League (ENPL) Playoffs. What level of play is the Boys ECNL? For the Scottsdale Blackhawks the 14U, 15U, 16U, 17U and 19U teams, this will be our highest level of play. How Many League Games do they play? 16 - 22 games with up to 3 showcases. June Playoffs and July Nationals. What is the cost to play Boys ECNL? The fee structure will be released soon.